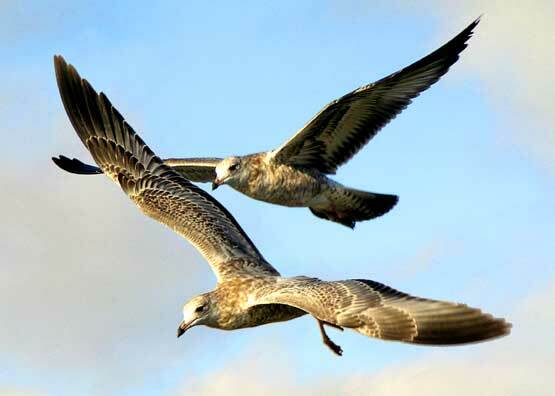 Bayland Birds - Herring Gulls - These magnificent gulls are likely to be young, as evidenced by the motled colors. But they look powerful. I search Google.com to identify birds but some are tough to figure, like these.